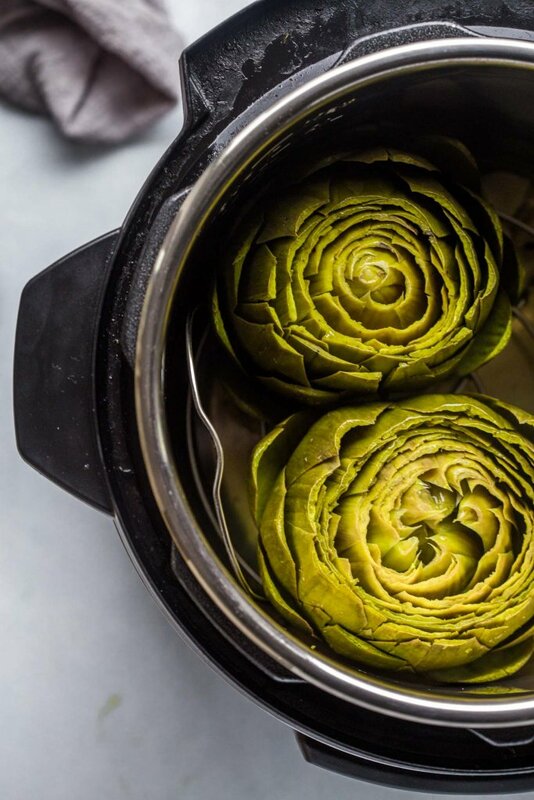 Instant Pot Steamed Artichokes are quick and easy to make with the help of your electric pressure cooker. Plus, this recipe gives them SO much flavor! 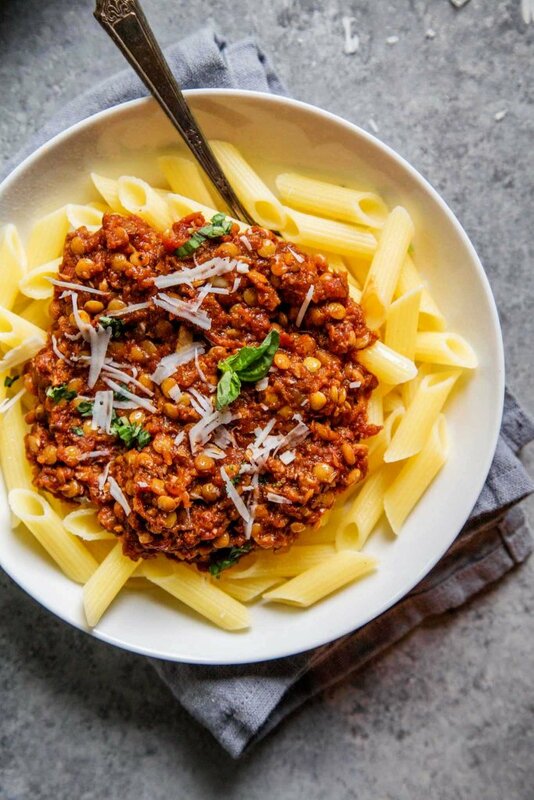 The Instant Pot doesn’t always meant that dinner happens in an “instant” – Some recipes can take just as long as the regular version when it comes down to it. It takes time for the pressure to build in the Instant Pot, so cooking time needs to also take into account the time for that pressure to build before the actual timer begins. 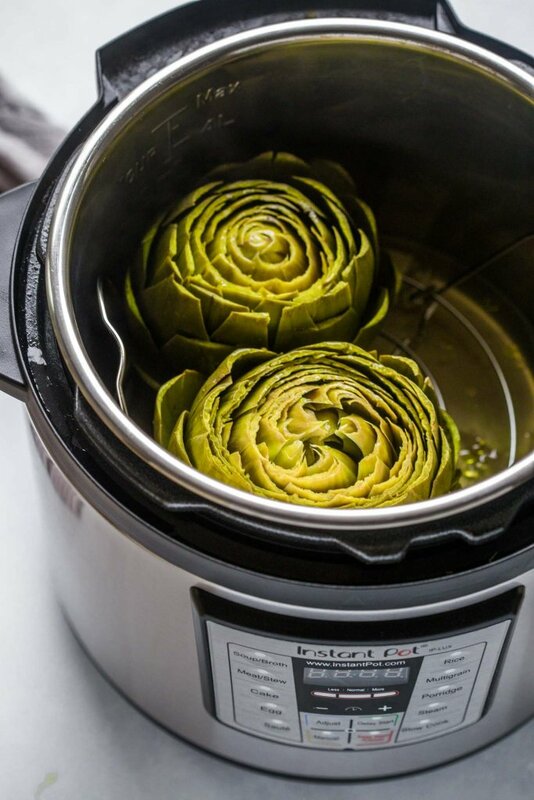 The more you have in the pot, the longer it takes for the pressure to build… But in this case, these Instant Pot steamed artichokes are a total time saver. Because there’s only a cup of water in the pot, that pressure builds super quick. And while steamed artichokes can take up to 45 minutes on the stovetop, these Instant Pot steamed artichokes only take about 15 minutes, add another 5 minutes or so for that pressure to build – So, 20 minutes! That’s like half the time. And that’s the perfect amount of time to make some of my yummy “magic” artichoke dipping sauce. Here’s the game plan: I trim my artichokes, add a bit of garlic, lemon and salt to the pot, place in the steamer basket and add my artichokes, cut side down (stem side up) into the Instant Pot. 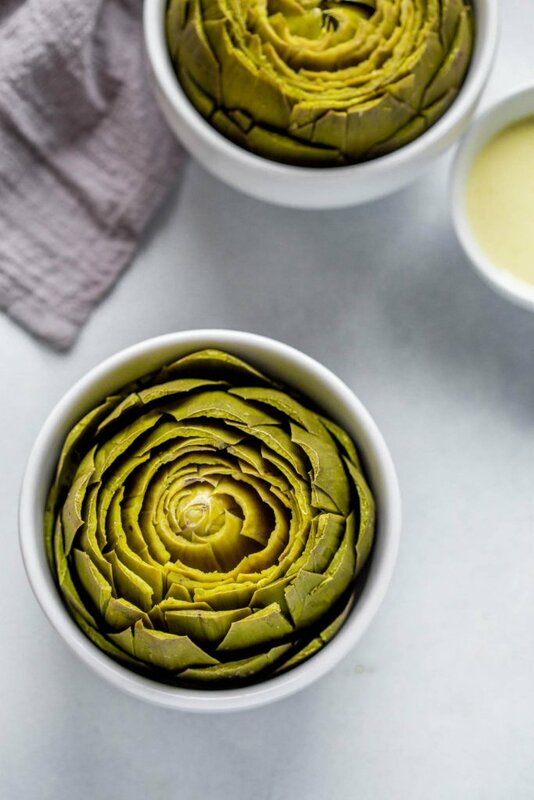 By placing them stem side up, it means that the water won’t drop down into the leaves and they steam away, instead, with the cut side down, the water will drip out of them as they cook, meaning your artichokes won’t get waterlogged. Also, I feel like all that pressure in the pot really helps those flavors to soak into the artichokes. I don’t have any scientific evidence to back me on this, but I really do think it makes a difference!!! 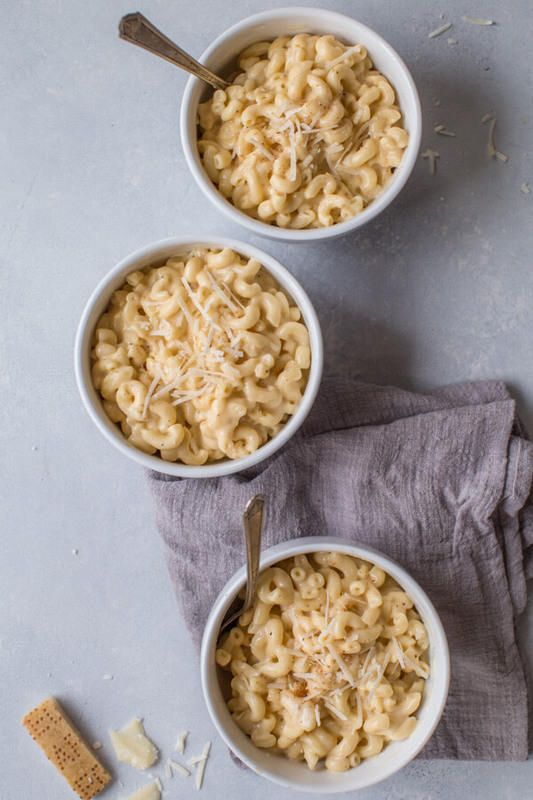 TIP: Sometimes I will make a big batch of these in the Instant Pot – As many as will fit a single layer (3 large artichokes, or 4 small-ish ones) and then I’ll reheat them on a hot grill. Just cut them in half and let them get a bit charred on a hot grill (or grill pan). 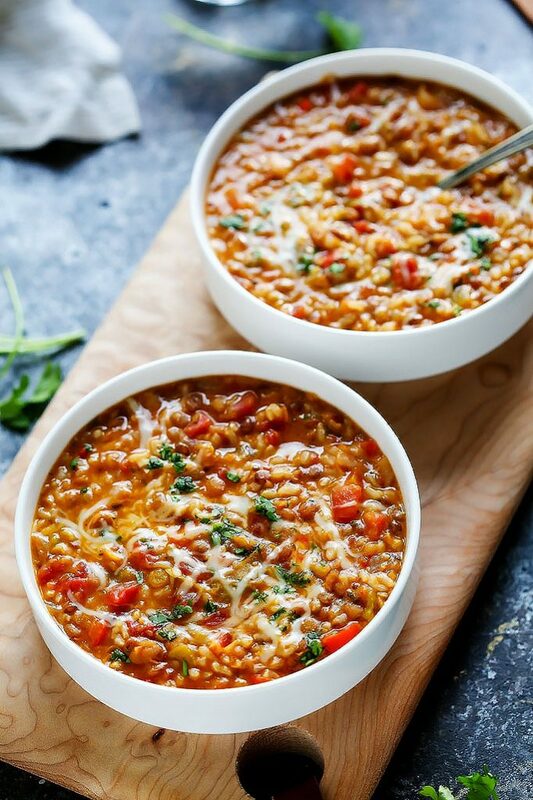 They take on a bit of a smoky flavor and reheat perfectly this way! So, are you guys with me? 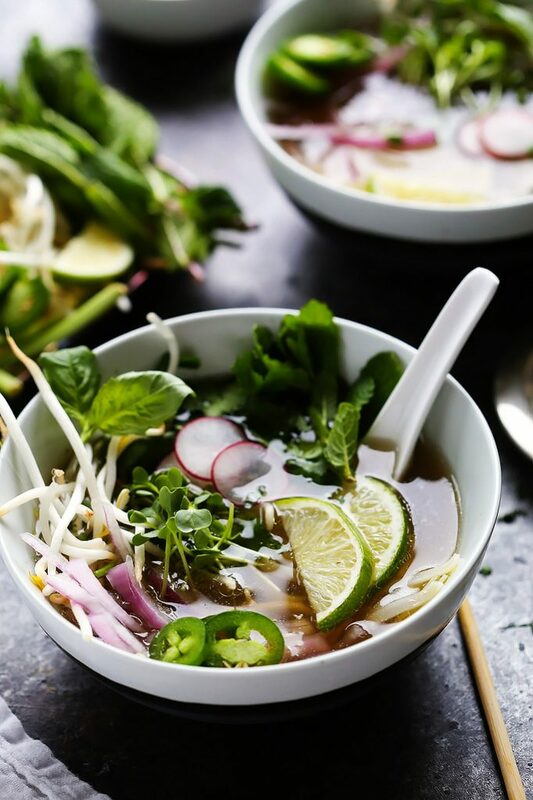 Are you in for more Instant Pot recipes? I’d love to hear in the comments below. NOTE: The artichokes were flipped over at the end for photography purposes. This may be a bit misleading. They were in fact cooked stem side up in the Instant Pot. 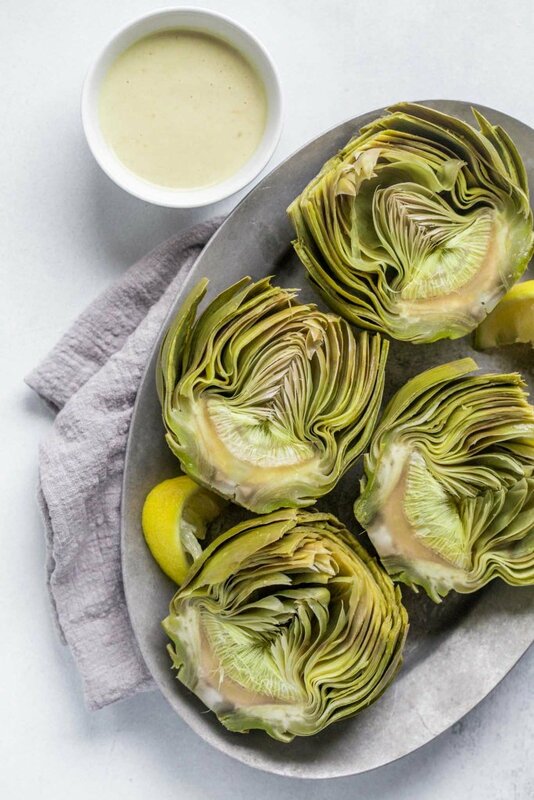 Prepare artichokes for steaming: Snap off tough outer leaves. Cut off the top 1/3 of artichoke. Snip remaining sharp or spiky tips using kitchen shears. Trim stem of artichoke. Add water, garlic cloves, lemon wedges and a couple pinches of salt to your Instant Pot. Place artichokes in a single layer on the steamer basket, stem side up. Close lid and set the vent to "sealing". Select "Manual" mode, leave the setting on High Pressure, and adjust the time based on the size of your artichokes: 5 minutes for small, 10 minutes for medium, 15 minutes for large. When the time is up, turn the vent to "venting" for a quick pressure release. Artichokes (like asparagus) can be notoriously difficult to pair with wine. The pairings that I’ve found work best are Sauvignon Blanc, Rosé, or a light, fruity red wine, such as a Beaujolais. I think you know how I’m feeling about my Instant Pot right now 😉 #OBSESSED. I wish I felt the same way about artichokes…I have never been able to get over the texture. However, I DO like including artichokes into party recipes because so many of my friends love them. I’ll have to share this recipe with them, and make this in my IP when friends come over! Those artichokes look beautiful! 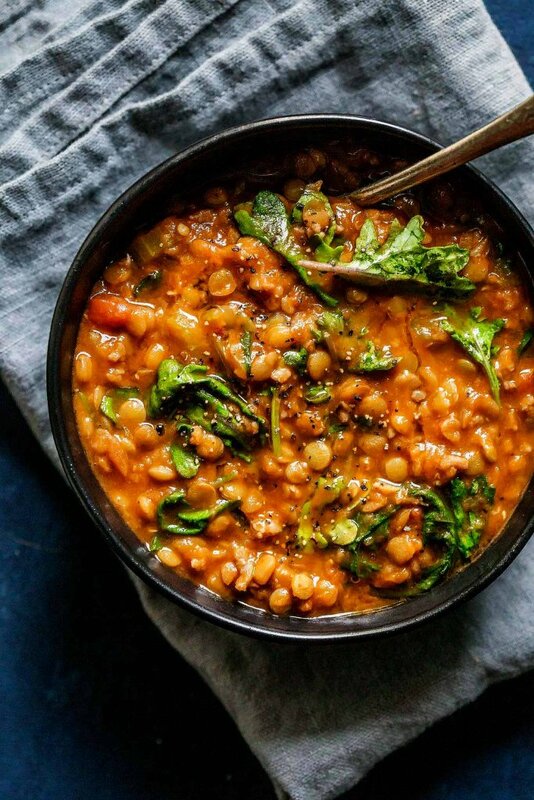 Aren’t Instant Pots just the best?! Love, love, love! Yes – The pictures are a bit confusing, I’m sorry. To confirm – Yes, I like to cook them stem side up so that the water falls out of them as they steam. Hope this helps! Am I correct that in each your photos of the Instant Pot artichokes recipe, the artichokes are shown stem side down, even though your recipe says stem side up???? Am I missing something?? Hi Diane – The artichokes are a bit misleading in the photos. But, yes, they should be cooked stem side up. I flipped them over just for the photographs. Thank you! It must be amazing to live in France! How long would I cook one artichoke? Hi Madeline – Cooking time will be the same. Cheers! Am I doing something wrong? Cooked for 15 minutes at high pressure and my artichokes aren’t even close to ready. Hi Renee – They should definitely be done after 15 minutes. Was the pot sealed well? Sometimes if my pot does not seal properly, my food doesn’t cook properly in the IP…? Sorry that happened! Hi Tina – Unfortunately it seems that artichokes can vary so much depending on how dense they are and how large they are. I would add an additional three minutes if you find they’re not done. I had the same issue as Renee after 15 minutes. I stuck the artichoke (now sliced in half) back in for another 6 minutes and they were still quite tough. Hoping it was just a bad artichoke because I’d love to be able to cook them in half the time. I’m having the same issue as the last couple post. Undercooked artichokes. I’ve tried 15 min, 20 min and 30 min for a single artichoke and they still are undercooked. And top Is completely secure. Could it have anything to do with the type of artichoke – some are much more dense than others. I too LOVE my IP and artichokes. I bought all the bells and whistles when I got my IP including a steamer basket. Your dipping sauce also looks wonderful. I am going to add 1 TBSP of the O Olive Oil Organic Meyer Lemons olive oil to this (just because this is a seriously good, very light and delicate olive oil) because I love the idea of lemon juice with artichokes. I had 3 medium artichokes and it took 26 minutes to cook them thru. Still it is so much less time than the hour and a half on the stove a couple of weeks ago. And I didn’t have to watch the water. Thanks for the recipe. You are so welcome Kerry! Thanks for the feedback! You eat an artichoke leaf by leaf dipping it in butter or mayo. As you get down to the center and the leaves change you can pull off the ring before the husk and eat around that ring. Do not eat the husk, cut it off just before the soft part or what is called the heart. 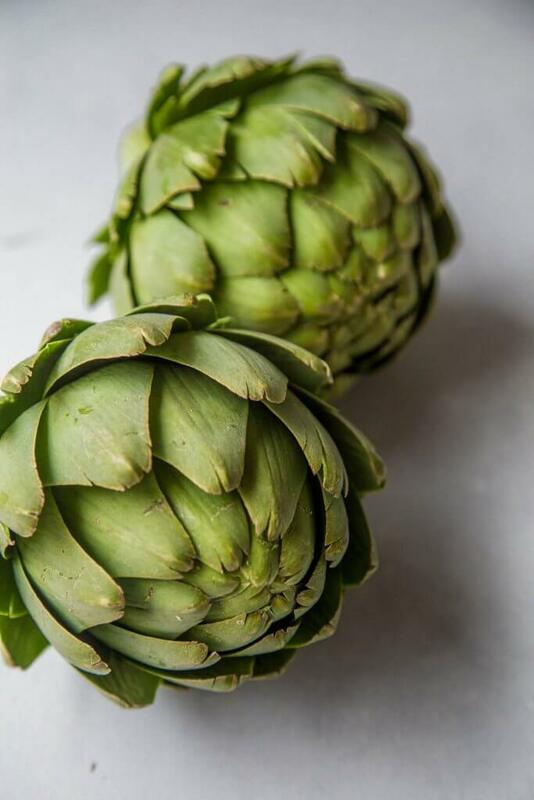 The heart is the best part of an artichoke. Enjoy! My husband traditionally makes artichokes in the microwave for 30-45mins, depending on the artichokes. Ugh, I’m never a fan of cooking with the microwave! When I suggested this way he was not a fan. I did it anyway and the results were perfect! Thank you! Thanks for the IP recipe for artichokes. It is perfect in timing! When I was a young kid, my family visited my gramma who lived on the beach in Santa Cruz for the summers. We would travel through Watsonville Ca and you were able to pick a burlap sack of artichokes for $1.00 a sack. My gramma would make all kinds of artichoke recipes with this load. Don’t forget the trip to Gilroy Ca where we loaded her up with fresh garlic. Yum!!! That sounds amazing Ron – Thanks for stopping by!